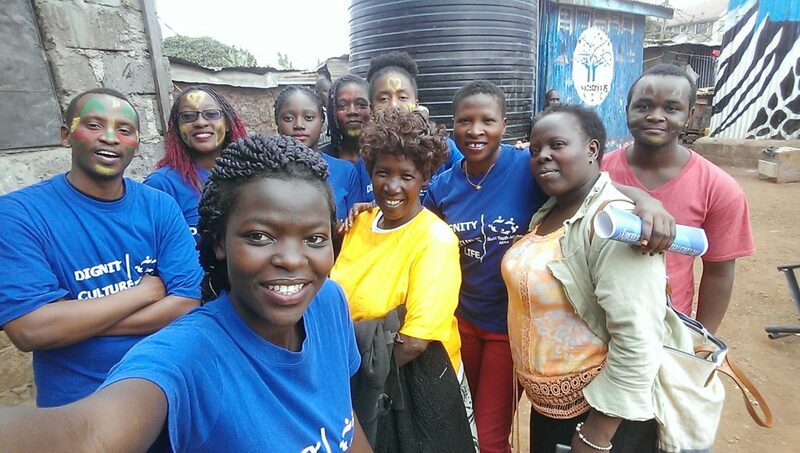 On Saturday 30th June 2018, the World Youth Alliance Africa interns set out to the Inua Mimi Rescue Centre in Kibera to implement their dignity project. The interns, together with the Regional Director, WYAA alumni and friends, spent the day with the children at the rescue center. The aim of the dignity project was to give donations to the rescue center, spend time with the children and have fun activities. Proscovia Alando and Alice Oddotte, current interns at the Nairobi office, were overseeing the entire activity. Activities for the day included having a talk about WYA to the children and holding a talent show competition where the children sang, danced, and drew pictures. The founder of Inua Mimi Rescue Center was Paschalia Nduku, aged 63 and who the children refer to as “shosho” (grandmother). She made impressive comments about the visit and highlighted how much it meant to the children. “Most of the people who come to spend time here are visitors. 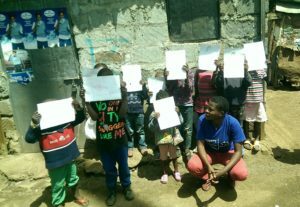 The neighbors (at Kibera) stigmatize these children and even keep their children from interacting with ours,” she stated. The regional director gave the closing statement regarding her joy in having the day with the children and celebrated the success of the interns in accomplishing their project in the quest to preserve the human dignity. “Supporting the less privileged in the community is a great way of affirming human dignity,” she concluded. The Makimei children’s home visit and fun day took place on the 18th of February 2017.